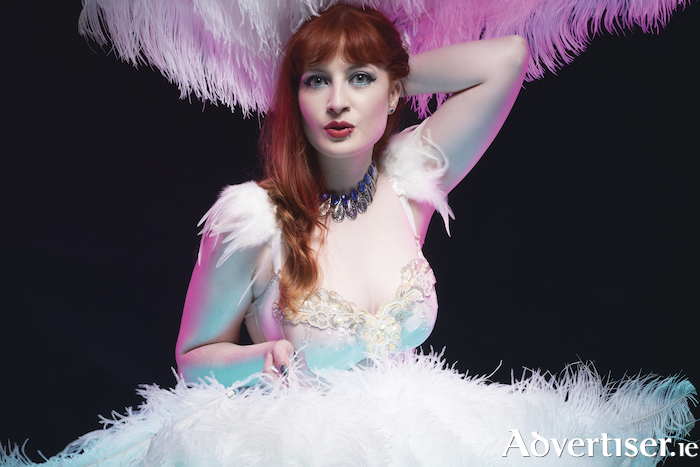 AS THE weather struggles to improve and resemble something like the start of a summer, The Dirty Circus burlesque and cabaret night will return to the Róisín Dubh to inject some heat and sizzle into the atmosphere. The Dirty Circus's Summer Lovin' show takes place on Saturday May 26 at 8.30pm, with performances from the former Miss Burlesque Ireland, Kat Moiselle; Galway's Harley Sparks who is flying in from Canada especially for this show; Ireland's Got Talent star, the notorious Grim Squeaker; Culchie Club star Neon Love; The Reptile Queen, Kitty LeRoux, making her Galway debut; also making her debut will be Lady Hex Noir. Meanwhile, Lily Venom will be taking names. There will be a surprise MC on the night. Cantina Bop will be DJing electro swing. There will be prizes for the best dressed audiences members. Tickets are available from www.roisindubh.net; the Ticket Desk at OMG Zhivago, Shop Street; and The Róisín Dubh. Early booking is advised.